One category I never get tired of searching in the App Store is photography. If there is an app that will take a better picture on my phone, I want it. If it makes it easier, that is even better. Remote Shoot from hyunki hong wants everyone just that. Really easy to connect for remote shutter, If you use Remote Shoot. Just send an internet address to another phone. You don’t need install each devices. Don’t run after set the timer. Remote Shoot make you happy from these problems. When you date with your lover. When you travel with your family or friends. Whenever wherever take a picture remotely with Remote Shoot. To begin the picture taking process, first open the app. Before you do anything else you must click the envelope icon to generate a temporary internet address. Options for sending the link include copying to the clipboard, whatsapp, Line, kakaoTalk and text message. 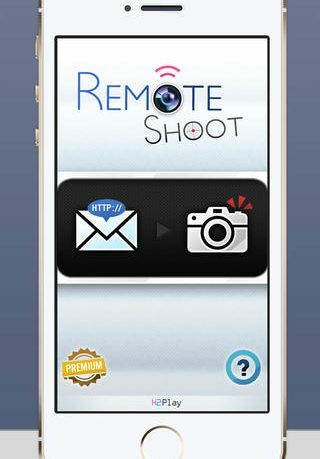 Send the link to the device you would like to take the picture with, then press the camera icon in the Remote Shoot app. Set up your camera where you would like to take the picture. When you are ready, use the device you sent the link to access the temporary site, then press the picture of the camera. Soon after, the camera will beep, counting down, then snap – your picture is taken. 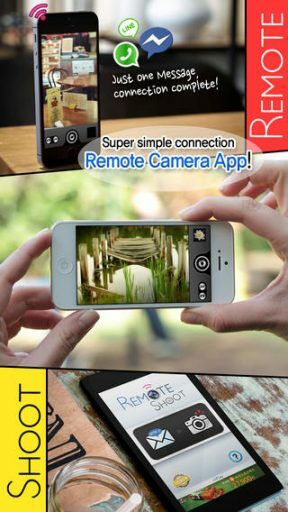 Remote Shoot does what it says – you can take a picture remotely. As you can see, it does take quite a few steps. There are also drawbacks in doing it this way, for one, the temporary link is only good for 30 minutes. Also, I was only successful in using the site to take one picture, having to start the process over if I needed another shot. 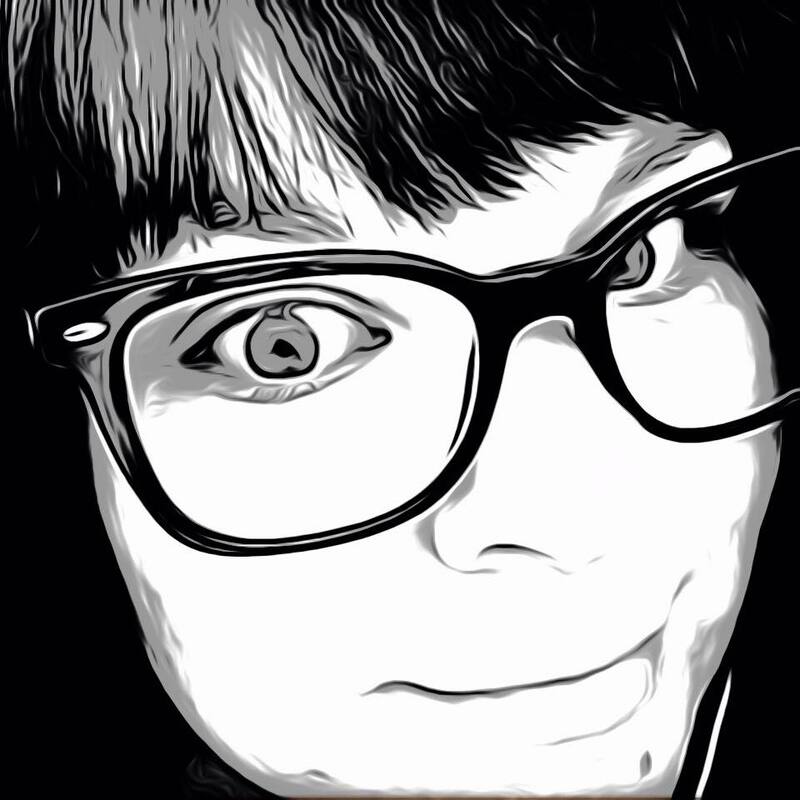 One plus is I was able to use the link on just about any device, including a browser on my PC. A preview of your picture is also generated on the browser after it is taken, though it is very low quality. An in-app purchase of $1.99 will upgrade the service to premium and allow full resolution preview on the temporary Internet address if you so wish. Remote Shoot is not the only answer to getting all of your friends in the picture, but it will do the job. 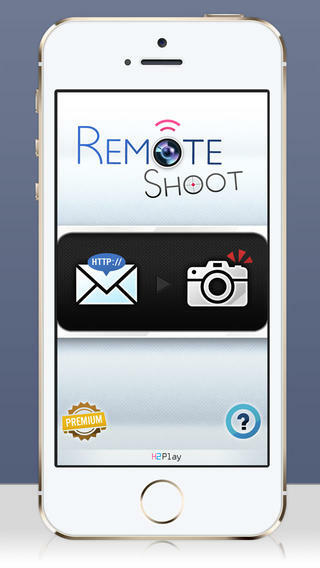 Remote Shoot is available for free in the App Store and is compatible with iPhone, iPad and iPod Touch.